Daron Malakian’s Scars On Broadway have shared a stream of their new track Guns Are Loaded. It’s the latest material taken from the System Of A Down guitarist’s upcoming album Dictator. The band previously revealed the title track and Lives from the record that’ll arrive next Friday (July 20). 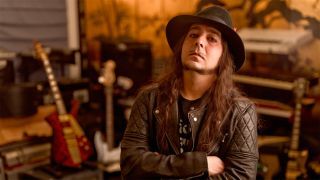 Speaking about Dictator, Malakian told Rolling Stone: “I recorded the album and then around that time System Of A Down started playing live again. Earlier this week, Malakian suggested that the reason there hadn’t been a SOAD album since 2005’s Hypnotize was down to frontman Serj Tankian. That drew a response from the singer earlier today, when he issued a lengthy post about the reasons behind the delay. A full tracklist for Dictator will be revealed over the coming days.